ChargeIt by Jay Silver Mirror Round Beaded Glass Charger Plate 13"
Home > Products > ChargeIt by Jay Silver Mirror Round Beaded Glass Charger Plate 13"
The ChargeIt by Jay Silver Mirror Round Beaded Glass Charger Plate 13" is a stunning addition to any dinnerware collection. This charger plate features a beaded rim and mirrored surface that reflects the lighting in your establishment, adding a romantic ambiance. 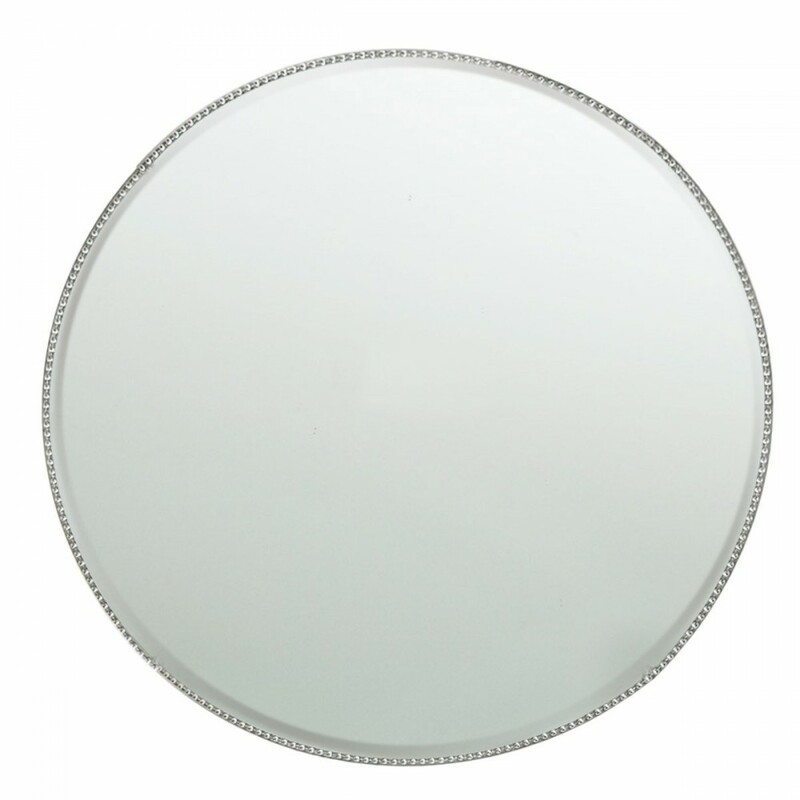 Perfect for weddings, sophisticated dinner parties, and other upscale events, this premium quality glass charger plate combines a delicate look with superior craftsmanship and unbeatable durability. Thanks to its ample surface, this charger accommodates plates of different sizes and protects against spills and mess. To properly clean and maintain this charger plate, hand washing is highly recommended.